Salbutamol Sulphate and Ambroxol Hydrochloride is used for the treatment of bronchitis, cough and asthma. A simple, economical, accurate and precise method for simultaneous estimation of Salbutamol Sulphate and Ambroxol Hydrochloride in combined dosage form has been developed. Simultaneous equation method based on measurement of absorbance at two wavelengths i.e. 244 nm and 276 nm, λmax of Ambroxol Hydrochloride and Salbutamol Sulphate in 6.8 pH phosphate buffer. Both these drugs obeyed Beer Lambert’s law in the concentration range of 2-18 μg/ml for Ambroxol Hydrochloride and 10-100 μg/ml for Salbutamol Sulphate. The high values of correlation coefficient (R2) indicated good linearity of calibration curve for both the drugs. The accuracy and precision of method was determined and the method validated statistically. Result of percentage recovery study confirms the accuracy of proposed method. As per the ICH guidelines, the method validation parameters checked were linearity, accuracy, precision and assay of drug formulation. Based on the results obtained, it can be concluded that the proposed UV-Spectrophotometric methods for simultaneous determination of Salbutamol Sulphate and Ambroxol Hydrochloride is rapid, economical, accurate, precise and reproducible. Hence, the proposed method can be employed for quantitative determination of Salbutamol Sulphate and Ambroxol Hydrochloride in combined dose tablet formulation. 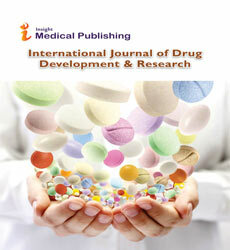 Simultaneous equation method can be used to carry out dissolution study in combination tablet formulation of these drugs.